The Minister of Communications Shri Manoj Sinha has called upon C-DOT, Centre for Development of Telematics (C-DOT) to innovate and develop Telecom products at reasonable costs for exporting to SAARC countries and other developing regions of the world. In a message on the occasion for 34th Foundation Day celebrations of C-DOT, he said that the premier Telecom R&D center of the Government of India, can develop products having far reaching impact in the areas of Agriculture, Education and Health care. The Minister said that in an era of M2M communications, Internet of Things, 5G, Cognitive learning and hyper speed networks, C-DOT has to play an important role in developing state of the art telecom infrastructure at affordable rate for the common man. Referring to the launch of C-DOT’s latest innovation, “WiDHWAN”, Shri Sinha said that, it has been exclusively designed to cater to the recurring call drop issues in no-signal and low-signal network scenarios in places such as offices and homes. He also congratulated C-DOT for regularly organizing lecture series on its foundation day, attracting national and international talents from the fields of IT and Engineering to brain storm on the future challenges facing the sector. In her address, Secretary, Department of Telecom,MsAruna Sundararajan said that in view of the current government’s huge thrust on accelerating digitization as the only way forward for India, C-DOT can emerge as a leading digital infrastructure provider as it has both deep capabilities and enormous talents to achieve the same. She said that at present 70 to 80 percent of telecom equipment is imported in India and C-DOT can play an important role in bringing down this huge import bill by developing cutting edge telecom products in the country through schemes like Design in India, Make in India or Digital India. Lauding the role of the premier Telecom R&D center, the Secretary said that after the rural telephony exchange, the country is witnessing the largest ever roll out of C-DOT powered G-PON for broadband connectivity in the rural areas with local R&D and local products. 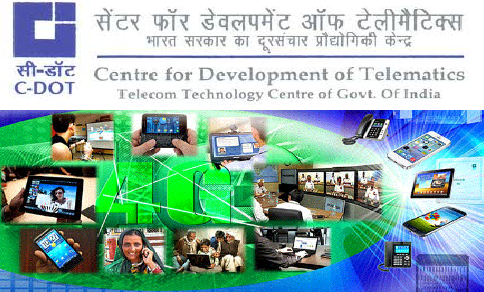 C-DOT, Centre for Development of Telematics (C-DOT) to innovate and develop Telecom products at reasonable costs for exporting to SAARC countries and other developing regions of the world.